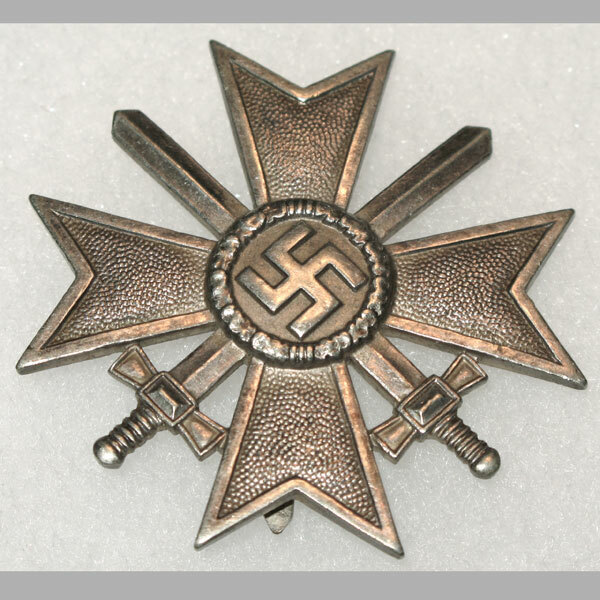 World War 2 German medals, awards and badges are some of the most detailed and ornate of any in military history. 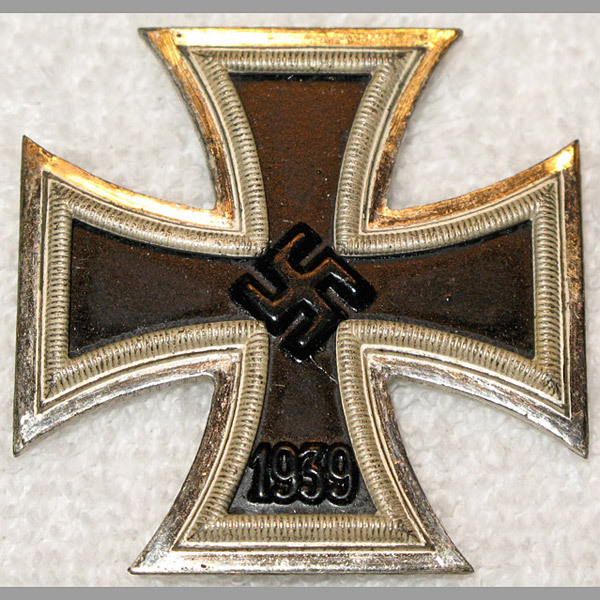 The level of detail, consistency and quality demanded of WW2 Nazi Germany was unmatched for the time. 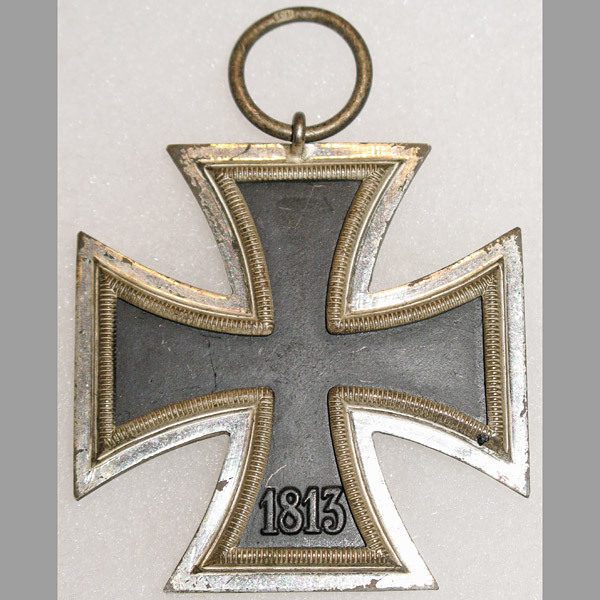 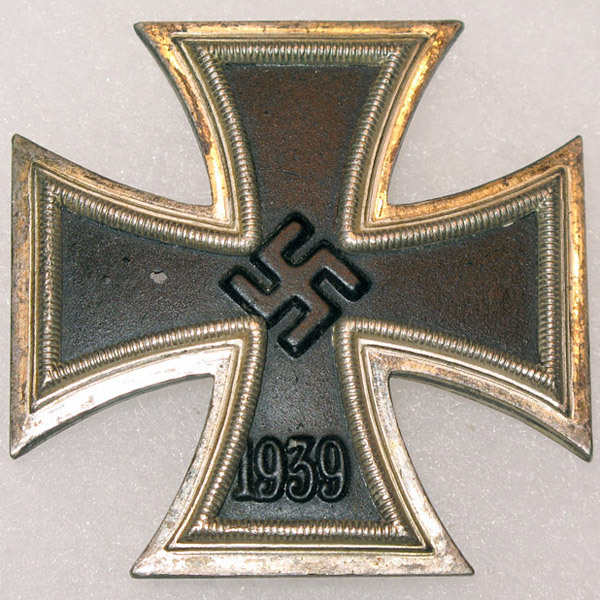 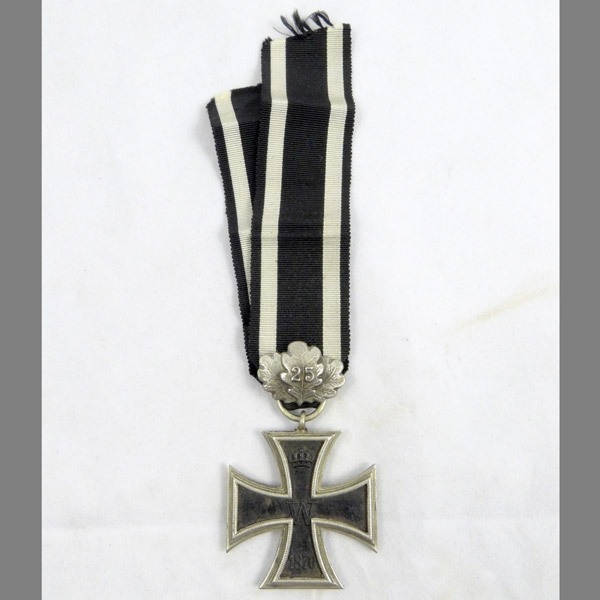 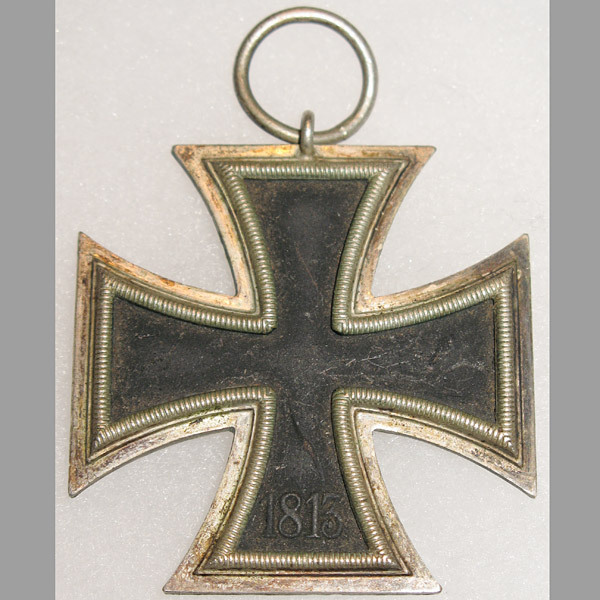 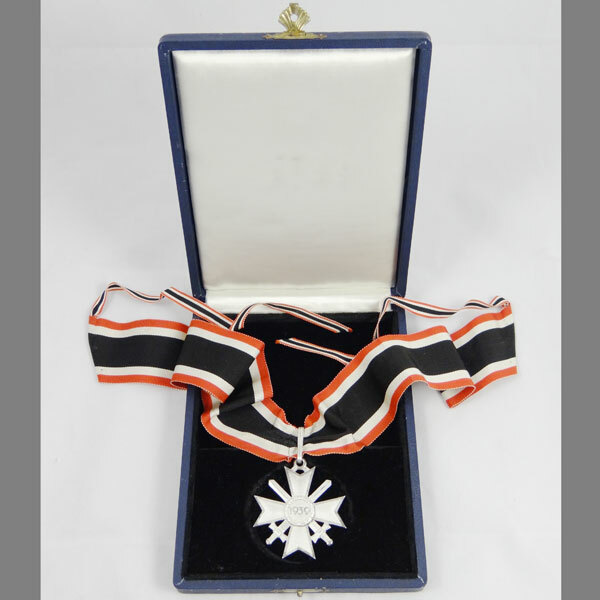 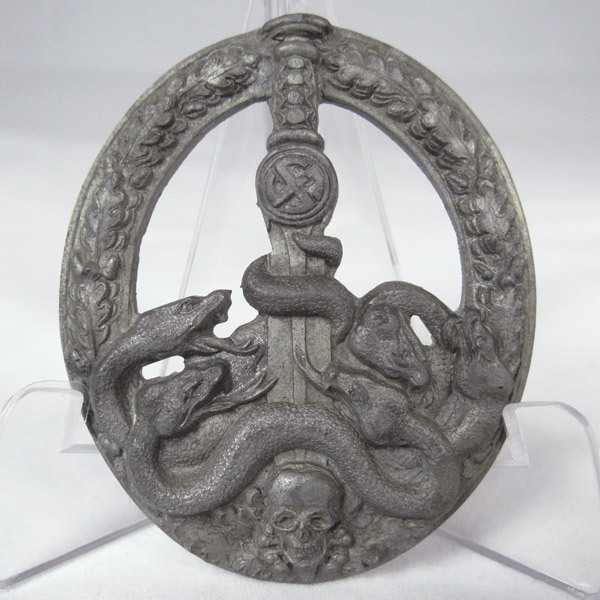 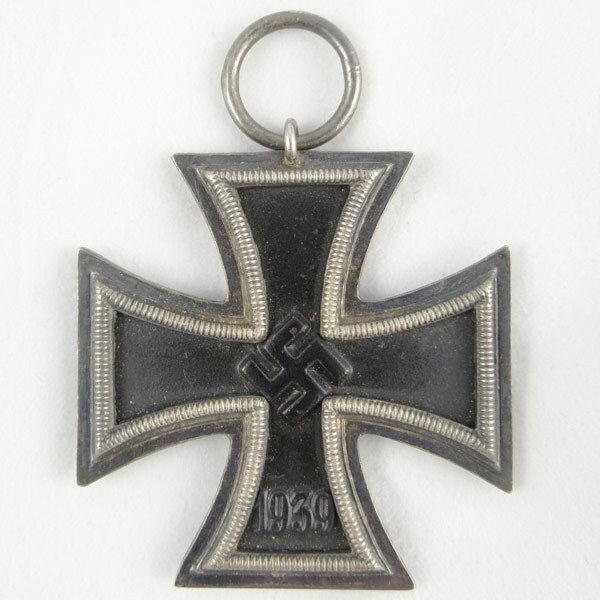 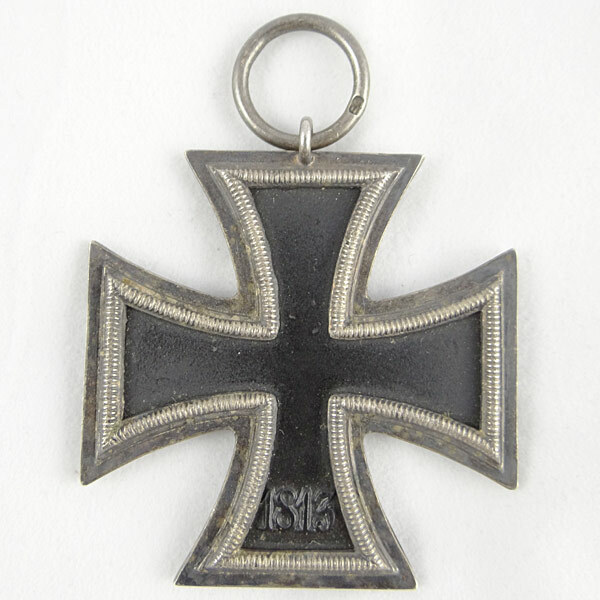 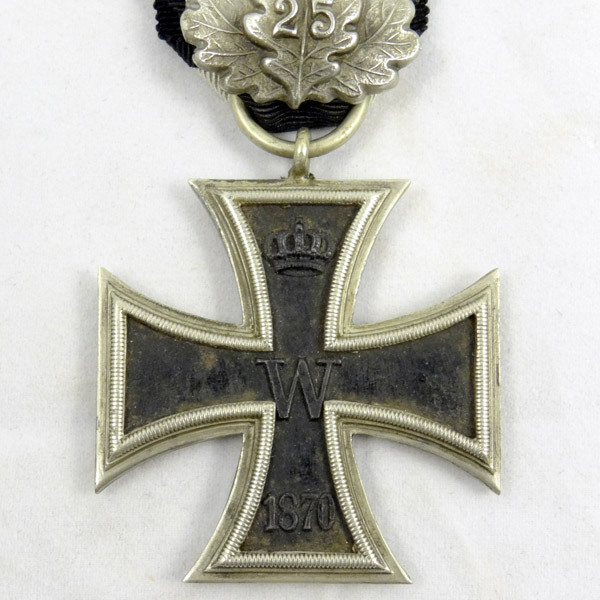 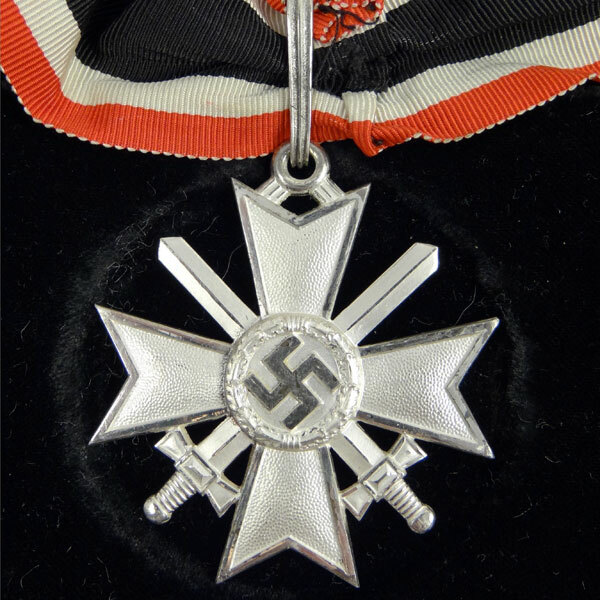 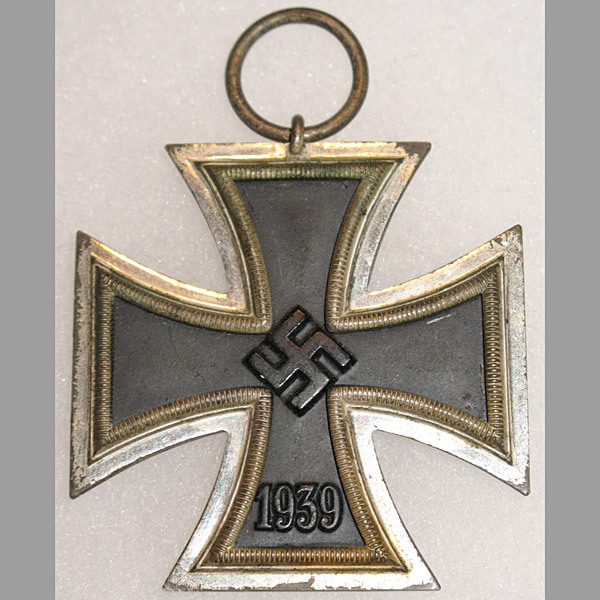 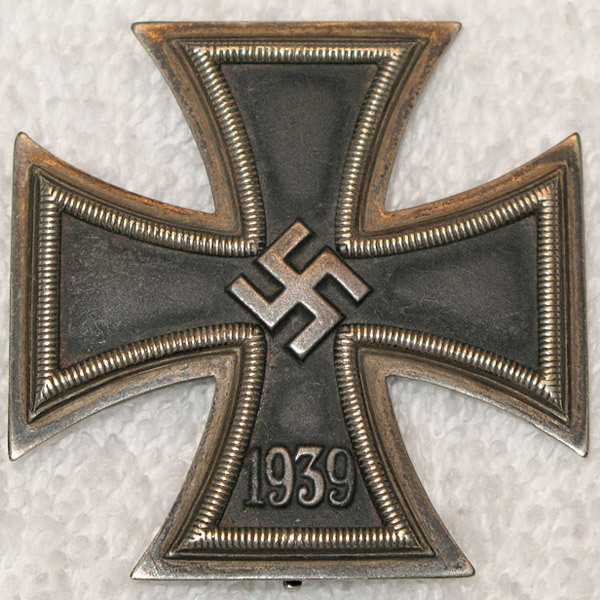 Some of the most popular and well known German medals include the Iron Cross First Class, Iron Cross Second Class (aka. 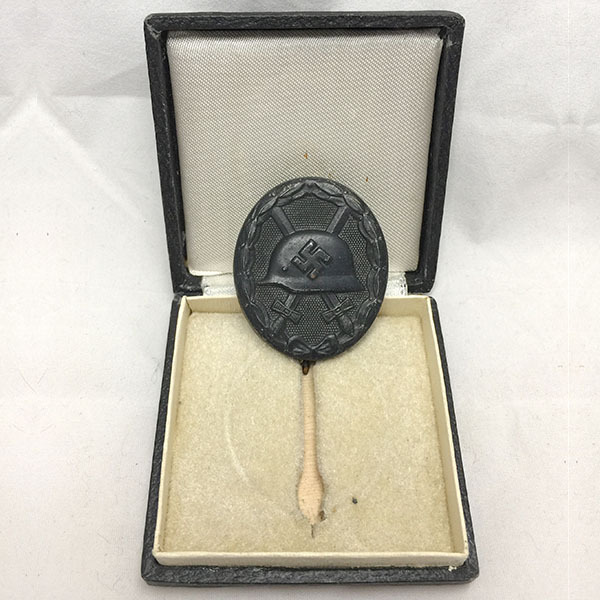 EKI, or EKII), War Merit Badge, Wound Badge, and the General Assault and Infantry Assault Badges. 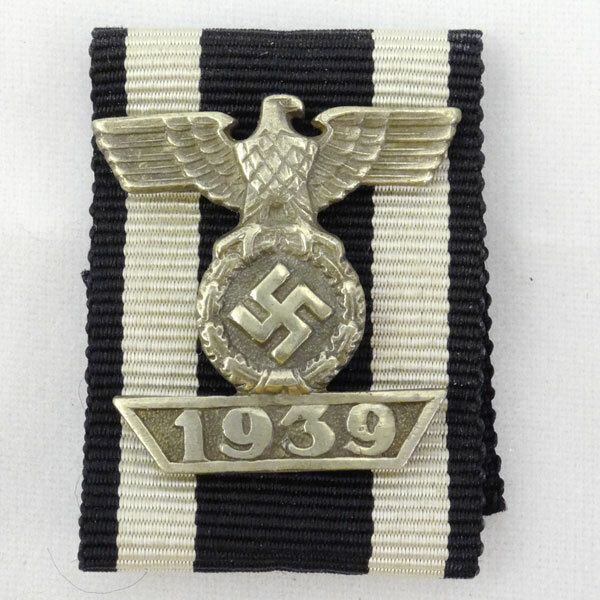 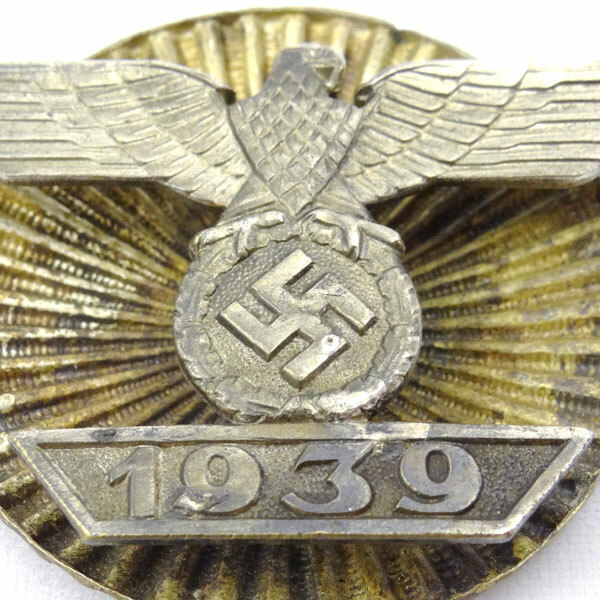 For decades after the war, Nazi Medals were some of the most collectible of WWII relics. 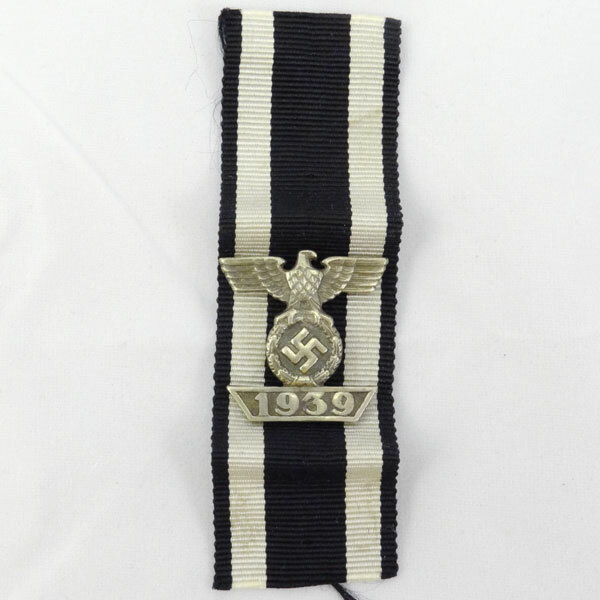 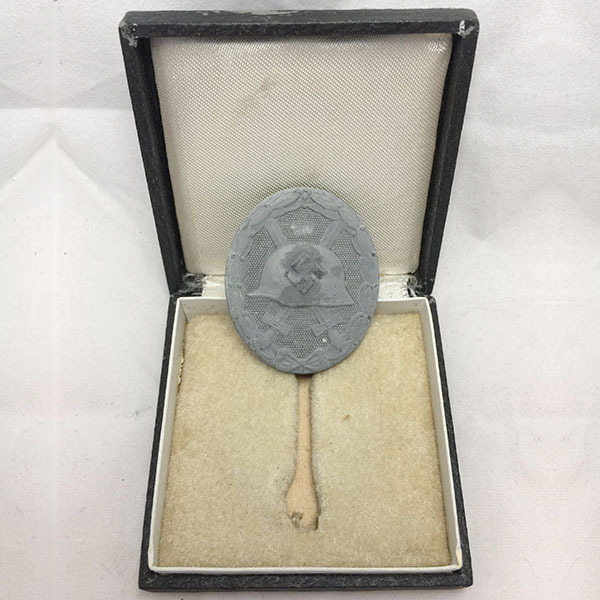 For that reason, there were a great deal of fakes produced, making collecting authentic medals very challenging. 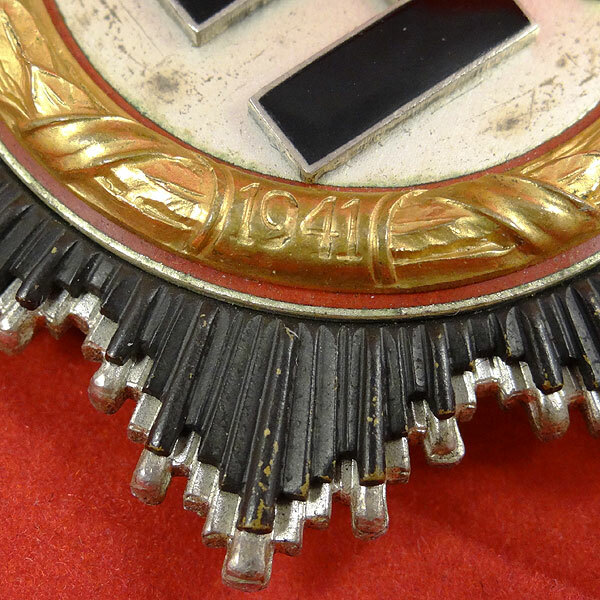 If you would like help determining whether or not your WW2 medal is authentic, simply submit hi-res digital photos of the front and back of each medal via our Free Appraisal form. 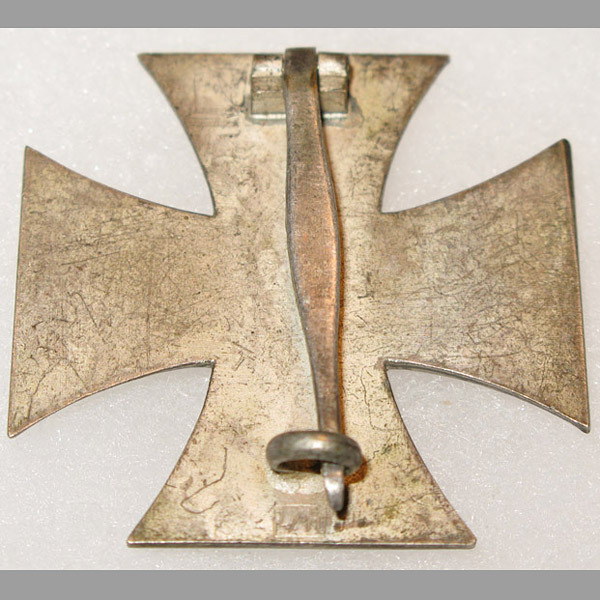 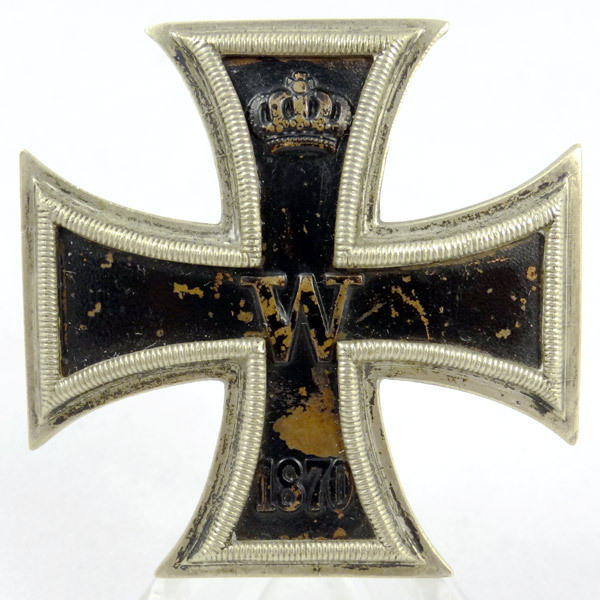 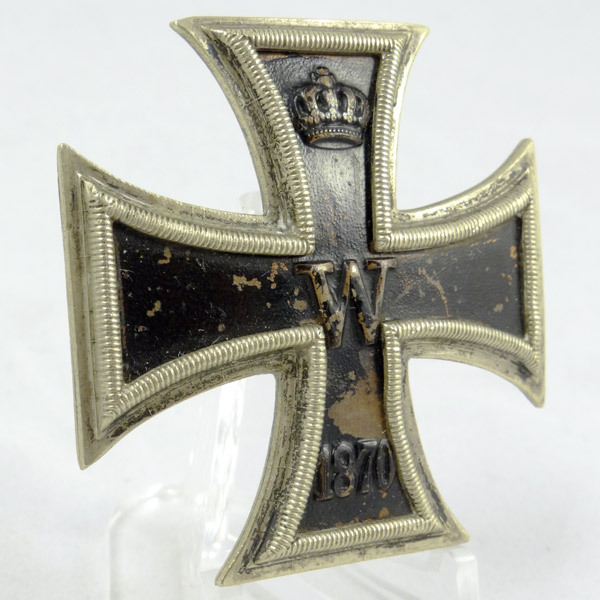 Here’s a rare one, a vaulted 1870 Iron Cross first class with a couple of very nice, unique features that set it apart from the standard versions (possibly a private purchase example), including a brass or even copper core and a custom pin style. 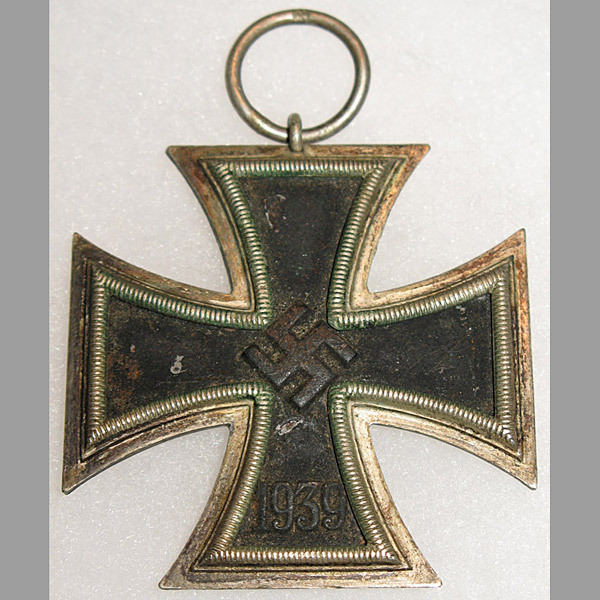 On the front we see some flaking to the black paint, which reveals an underlying copper/darkened brass tone. 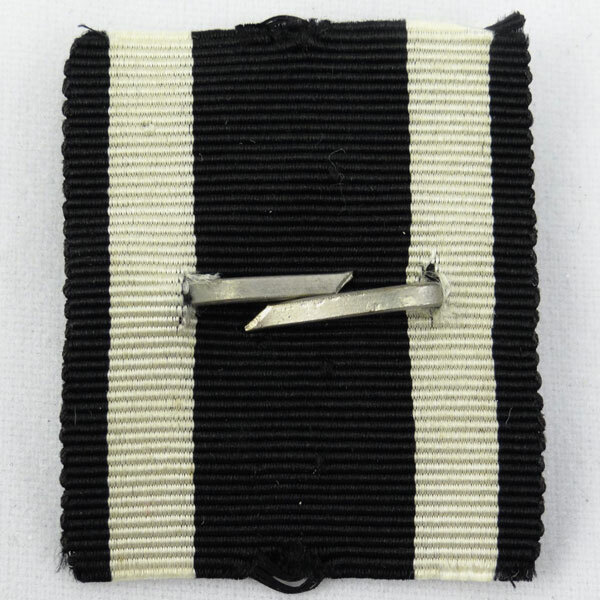 Here we have a very nice example Anti-partisan Badge (silver grade) with the seldom seen thin style pin and round catch. 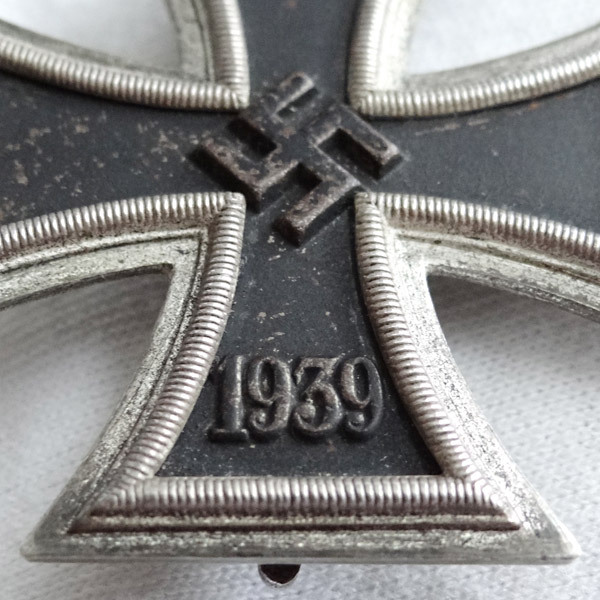 This is a truly exceptional example, with all the right hallmarks. 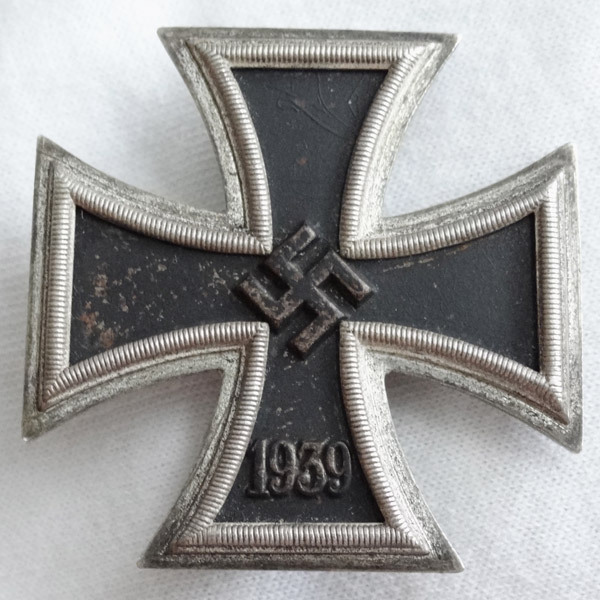 These zinc based badges are notorious for losing their finish over time, but this one still have a small amount of silvering on and around the skull. 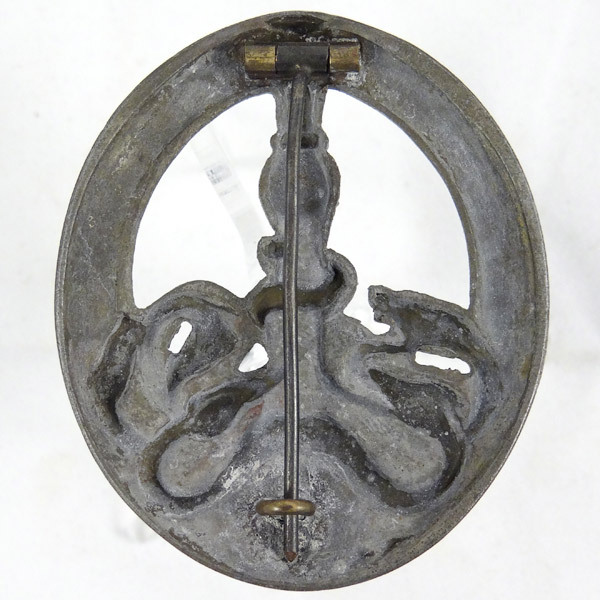 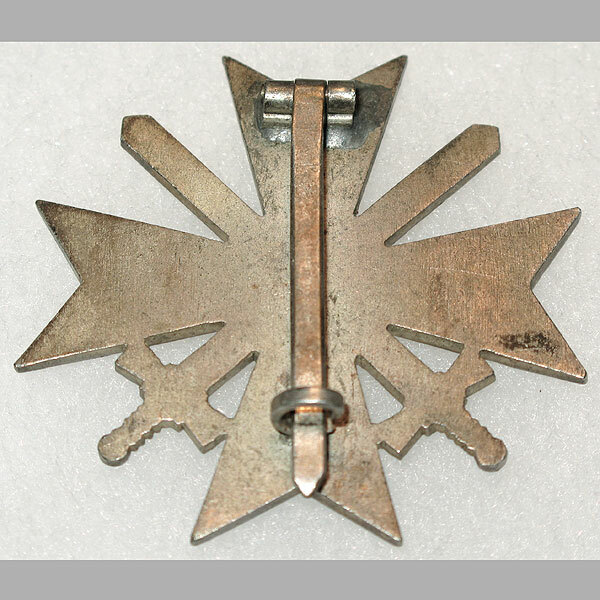 This is a late war type-1 Anti-partisan badge by C.E. 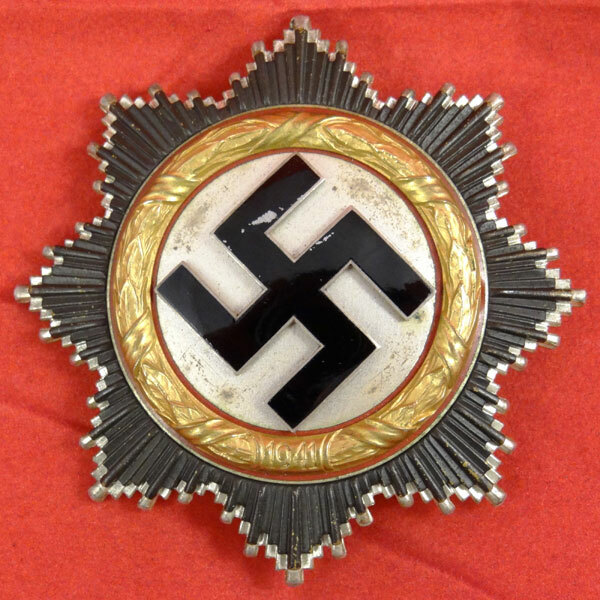 Juncker. 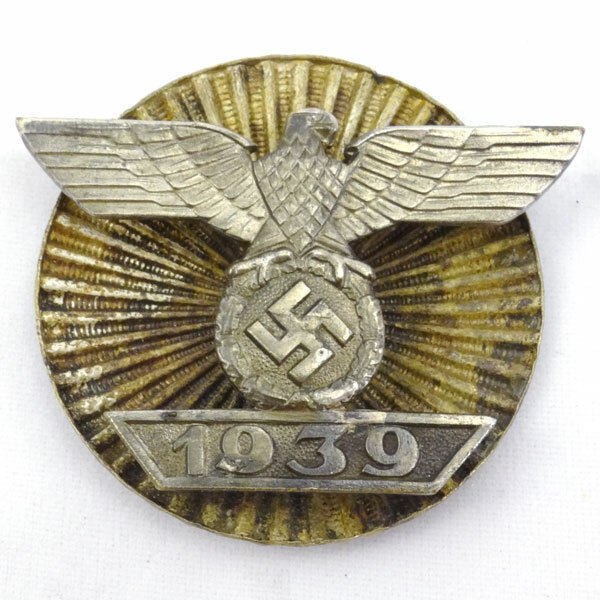 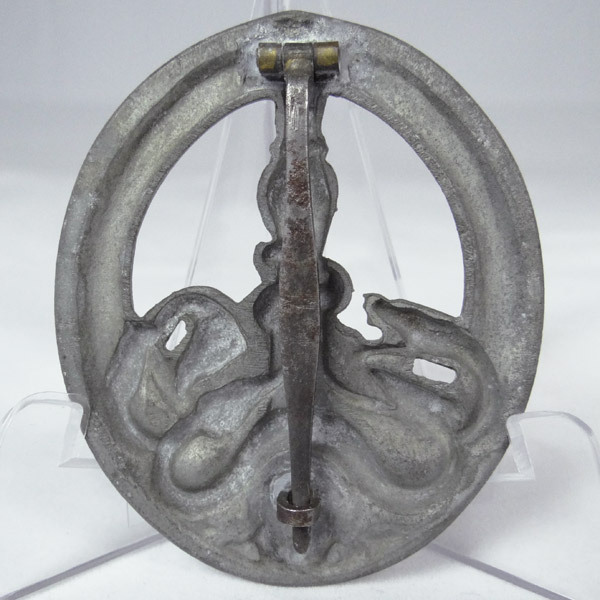 Made of zinc, the plating is long gone, but the detail and quality of this badge is still very much in tact. 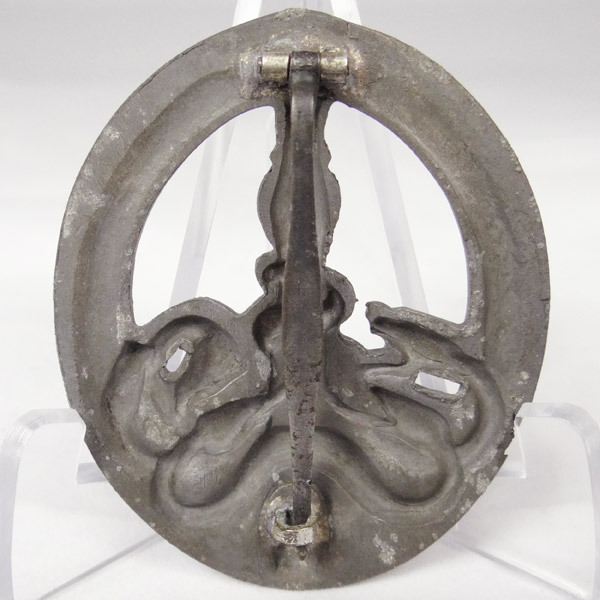 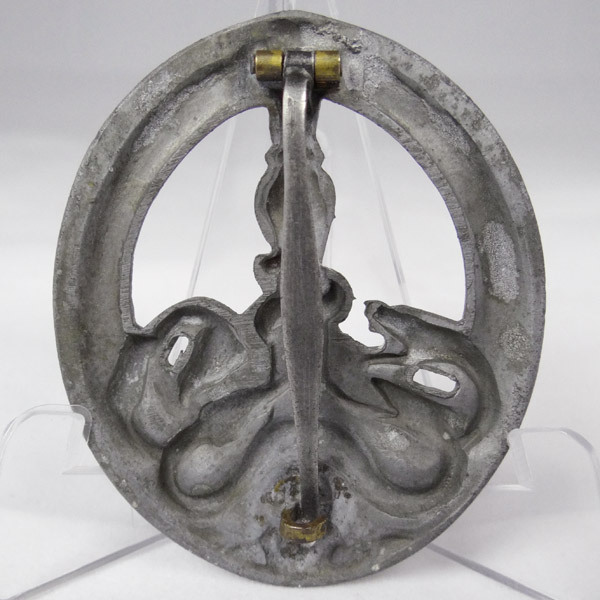 Zinc tends to lose its plating over time, which is completely normal and expected. 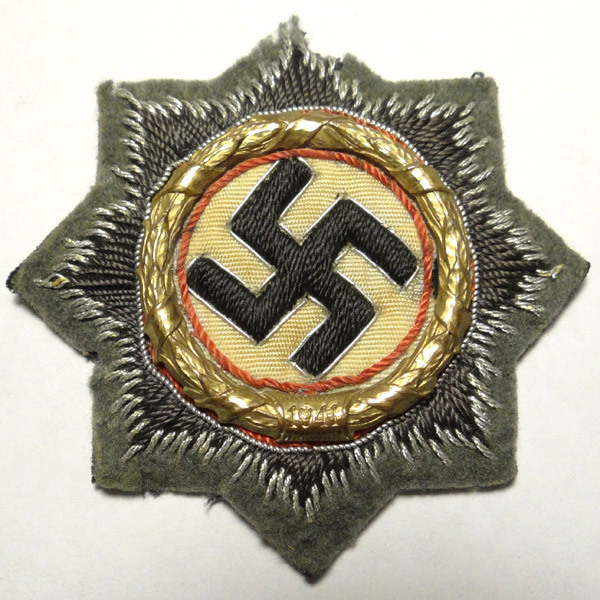 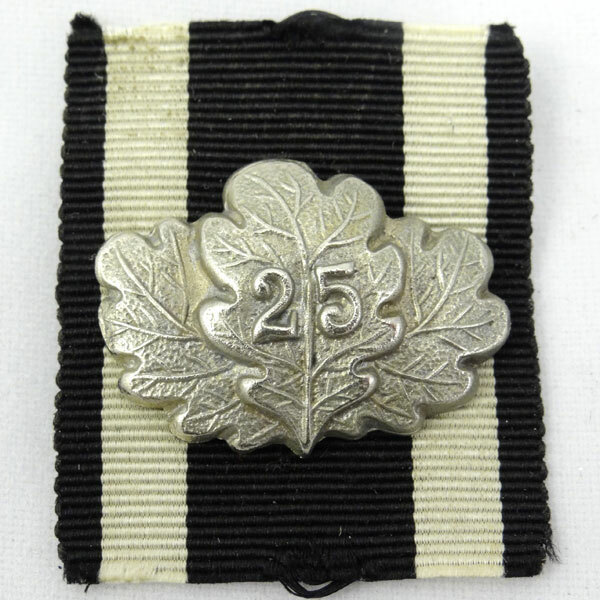 This is a very scarce Gold Type-4 Anti-partisan badge by C.E. 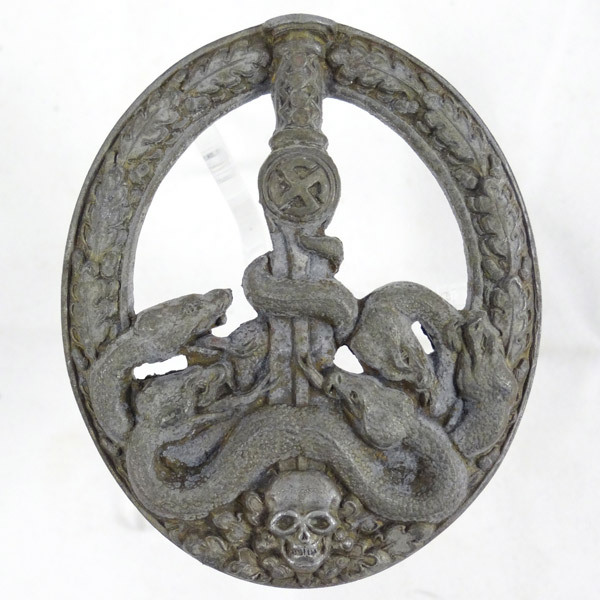 Juncker with rare cut-outs for this type (typically seen without the oblong cut-outs beneath the snake’s heads), and a previously unknown “thin” version (more on this below). 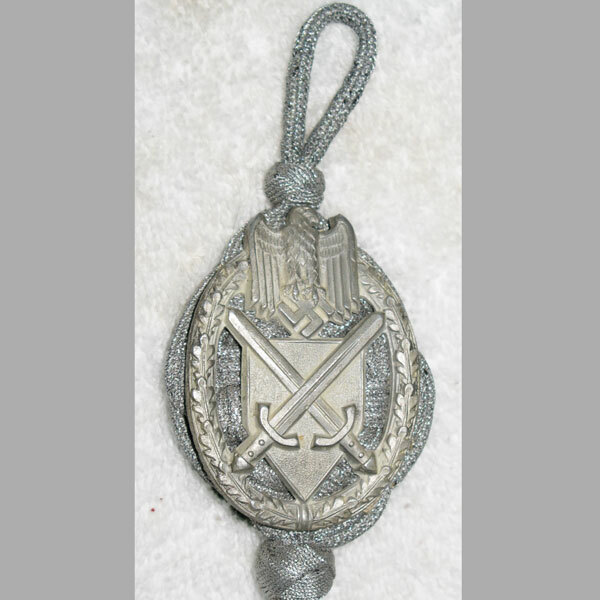 Here’s a nice Gold Grade Wound Badge in zinc. 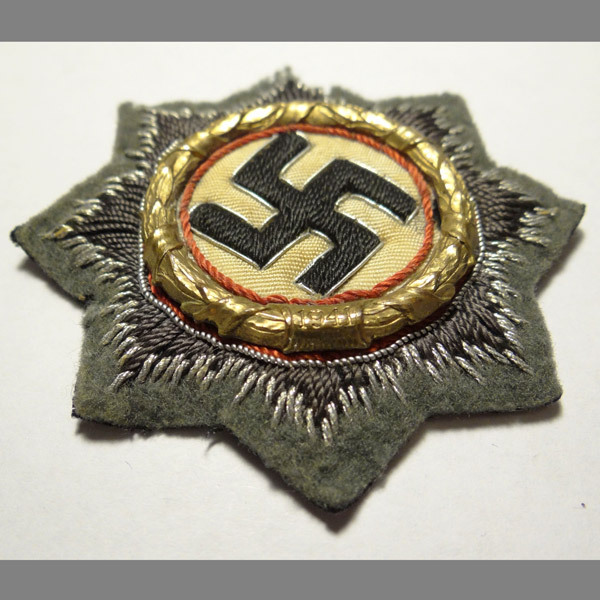 As with many zinc based badges, this one no longer shows any of the original gold wash, with the exception of the pin on the reverse. 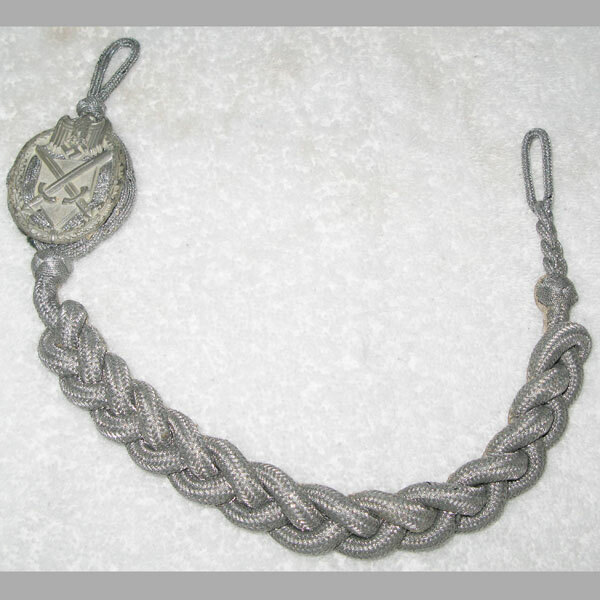 Since the pin is not zinc, the gold wash remains. 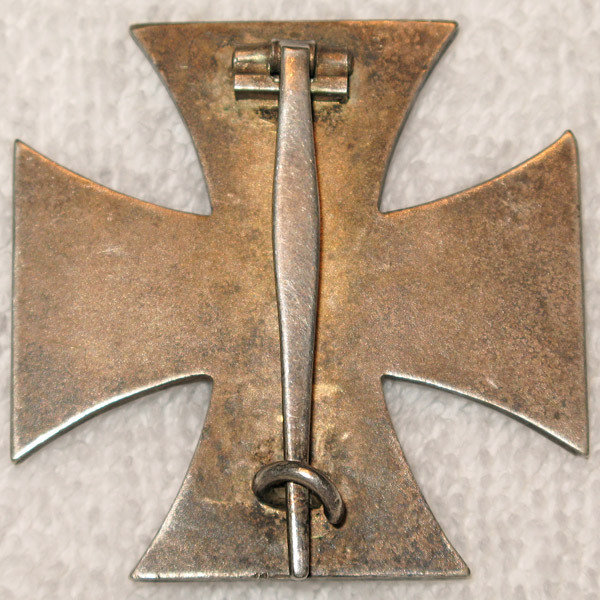 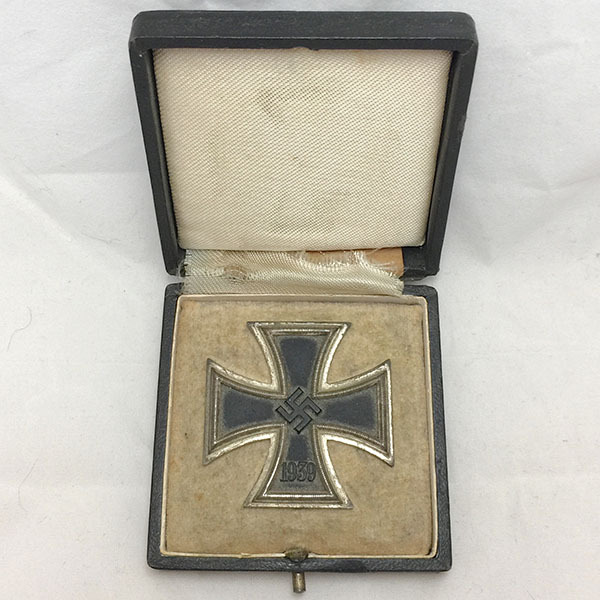 Iron Cross 1st class, EKI (Eisernes Kreuz I Klasse mit Etui) by Wilhelm Deumer (L/11 maker mark). 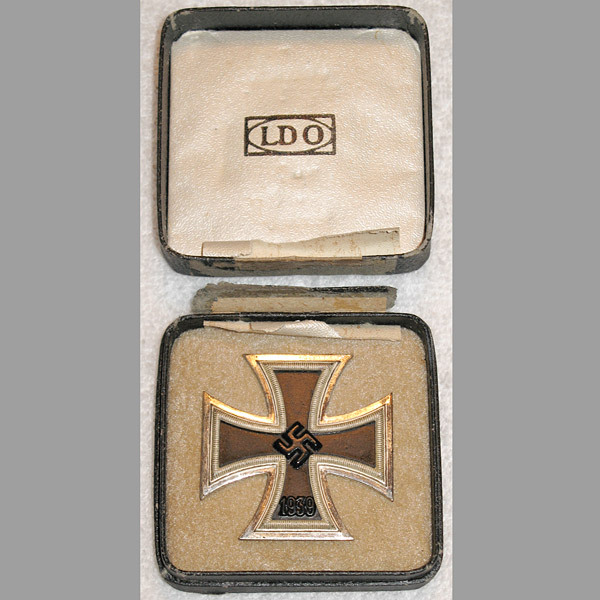 A fine cross indeed, retaining about 97% of its black finish, with only a very small chip to note, and only modest tarnishing. 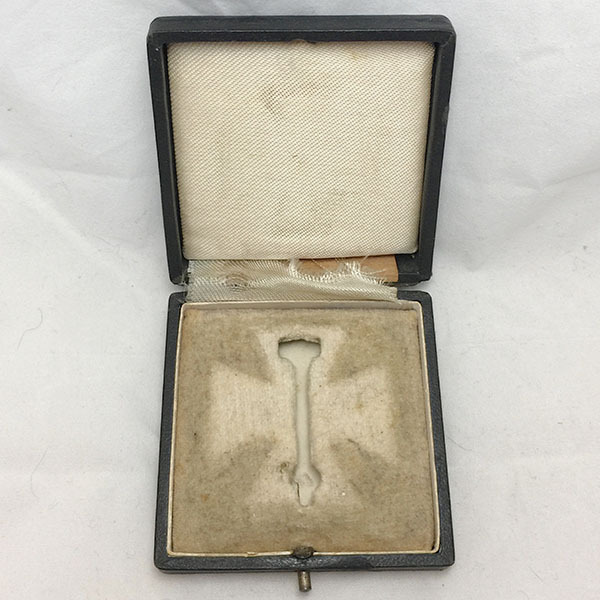 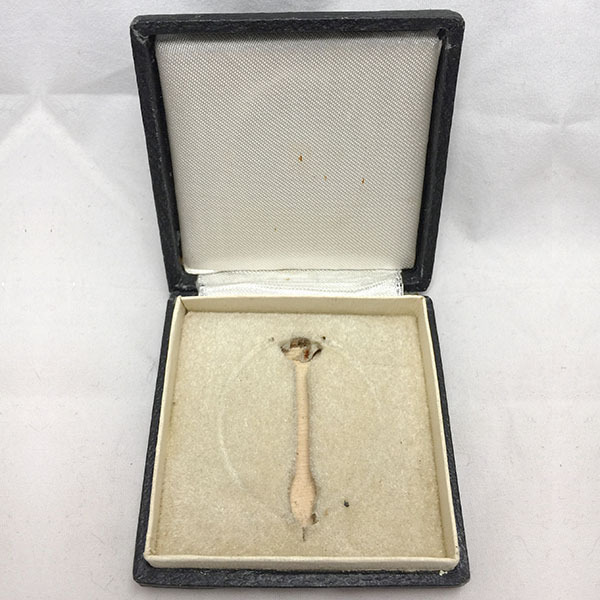 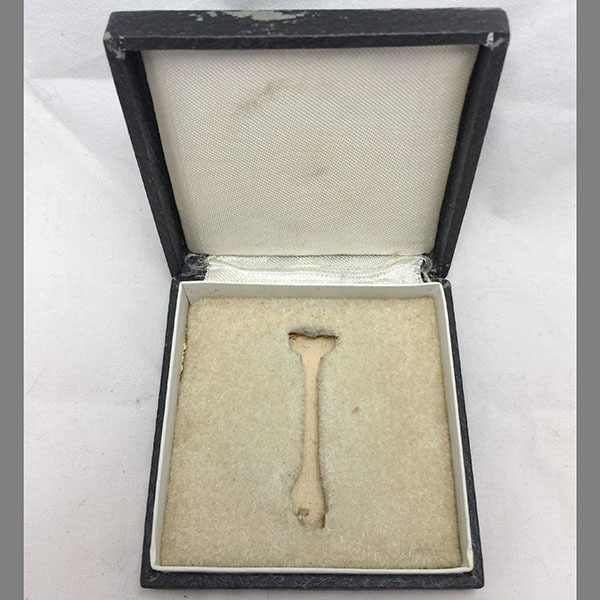 On the reverse, the coke bottle pin is standard for this maker, and the clasp is strong and firm, with the Wilhelm Deumer L/11 mark stamped clearly beneath it.